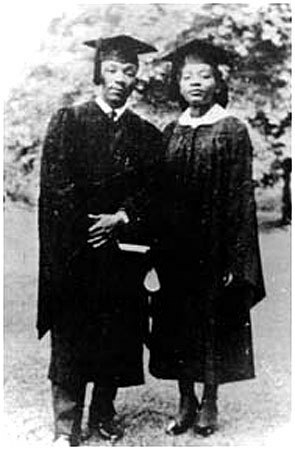 Martin, Jr. (a graduating senior at Morehouse) and sister Christine (a graduating senior at Spelman) in 1948. I was born and raised in Los Angeles, CA. As such, the Station Fire that still rages in Southern California hits home. I invite your blog readers to pray for the power of firefighters to overcome this massive fire. How cool! I’ve never seen this picture before! Hope you’re enjoying your WW! And thanks for coming by my blog! We take so much for granted in our culture. I wonder if young people really appreciate the accomplishments achieved by these examples, and how the adversity they faced was so much more than scholastic. Wow – that’s Christine Farris? I’ve never seen this picture either. Thank you for sharing!